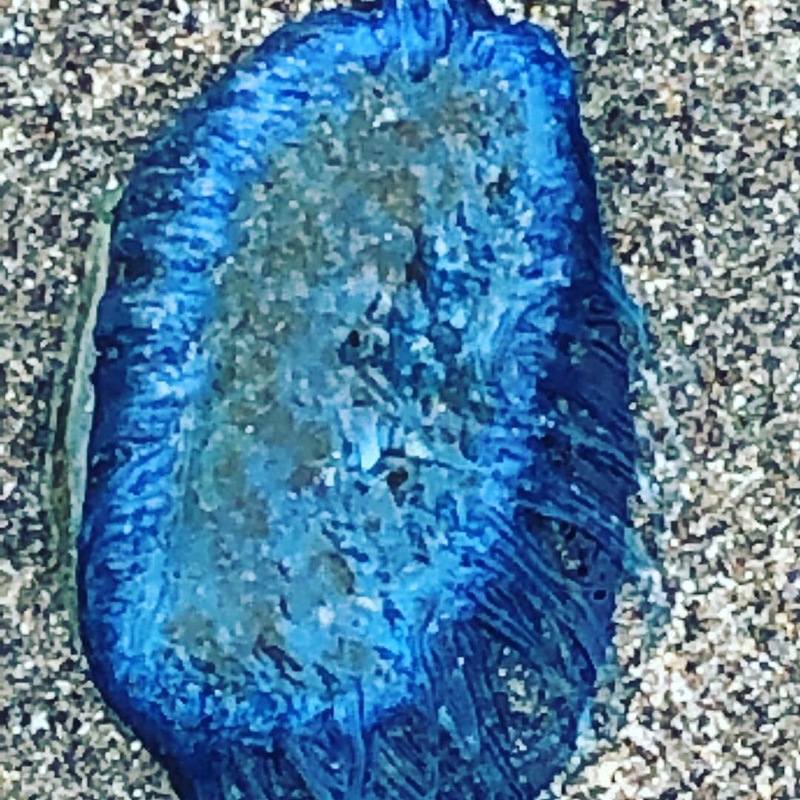 Blue button jellyfish on Ocean Beach in San Francisco; There were thousands washed up and dead in a certain portion of Ocean Beach. I have never seen them here before. I didn’t know what they were until I looked it up. I have more pictures so email me if you would like to have them.